With over 23 years of experience in the fitness industry, Henry specialises in numerous personal training and group fitness exercise activities for beginners, active and trained professionals. With Henry’s exceptional knowledge and experience, working with hundreds of clients throughout his career, with his keen sporting interest, highly talented playing his sport at national level. Henry is very passionate about health and fitness and brings a wealth of knowledge and experience with a high level of professionalism that he provides on a day to day basis with his private clients. He has a determination for success and is the ideal candidate to encourage and inspire participants to reveal and reach their true potential. Over the years Henry has produced amazing results for his clients with his specialised tailored health, fitness exercise and weight loss plans educating them along the way. 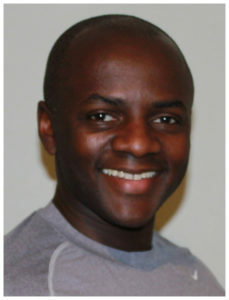 Henry has taken key elements of his popular plans to produce his uniquely designed Revive Health Fitness program.